Category Archives for "BWWM Romance Books"
Hot, sizzling, gripping, well-written BWWM books that will keep you flipping pages and asking if the air conditioner is broken. What happens if you accidentally fall in love with a sociopath? Julianna Winton has always been the quiet type. Meek. Shy. And she has always felt the need to live her own happy ending, assuming that when she marries her husband, Devon, she has found her chance to love and be loved. However, when Devon’s behavior changes from the charming man who once spoiled her with his kindness and attentiveness, to a callous, arrogant, and intimidating husband, something has to give. So, Juliana accepts the end of her marriage, finally finds the strength she has lacked her entire life and breaks out on her own where she finds independence, confidence…and Evan Karlessen. Evan sweeps her off her feet and does something Julianna never thought possible…he helps her find a way to love again. But Devon can’t accept that his wife has moved on and no longer wants him in her life. And, as his anger and vindictive acts grow, Evan vows not only to protect her heart, but also her safety, and prove to Julianna that their love is strong enough to withstand anything…even her ex-husband’s fury. Leaving the freelance world for a permanent writing gig at the highly successful Brownskin Magazine should satisfy Mia Childs, right? Wrong. Mia wants her own column, and she knows getting in good with her editor, Tinley Malone, can make that happen. Thing is, Tinley has her own agenda, getting back at her ex, physical therapist Kane Parker for breaking her heart, and using Mia to make it happen. Convincing Mia she’s the best writer at the magazine, Tinley offers Mia her own column ~ if Mia agrees to expose Kane as a “toxic bachelor” by any means necessary. Mia jumps at the opportunity, almost as crazy as Tinley to believe she can make a man love her and then bring him to his knees. There’s only one problem. Kane. Mia finds it hard to concentrate when the very sight of Kane makes her heart race and her body ache with wanting him. Will Mia be able to successfully infiltrate herself into Kane’s world and family without falling head over heels for him? Is a black woman, white man relationship possible in 1988? In this loving BWWM, multicultural romance in the aftermath of Hurricane Gilbert, two young black Jamaican women and one white American man explore forbidden love in this sensual and pleasing interracial story. Two of the most alluring young ladies in the parish, Toni and Angelina, both want Joe.Can either Jamaican beauty truly have Joe in a day when interracial marriages between white men and black women is taboo and all but unheard of? The heart, not logic, drives love, passion, and desire. Angelina, an attorney, and Joe go skinny dipping and share their closest secrets. 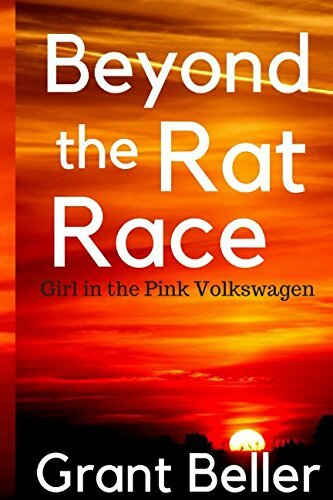 Will Joe choose Angelina, or Toni, the rising journalist in the pink Volkswagen Beetle? In this clean but sizzling BWWM Caribbean island romance, both Jamaican women are beautiful, intelligent, and worthy. WARNING: This clean but hot multicultural romance will leave you craving for your own BWWM experience. Love has no limits…it comes just in time. Raven I was born an anomaly…a charity case with no one and to no one. Year after year, I became used to the emptiness…used to the unspoken pain. When Marco walked into my life, all those thoughts scrambled. Who I thought I was…what I thought I was, and the struggle of breaking out of those chains took everything from inside me. He’s doing all he can to rebuild a world I’d learned to live in broken. I thought I was ready to be whole, but when I’m faced with the circumstances surrounding my birth family, I freeze. I’m just not sure I’m made for this type of love. Marco She thought I changed her, but she changed my whole life…brightened my dark days. I was getting by day by day, until I met Raven. That’s when I realized something else was missing…hell, a lot was missing. And, she changed it all as soon as she held me captive in her gaze. I knew from the moment I laid eyes on her what many take years to know. She will be my future wife…my only feat is getting her to feel the same. Will Raven and Marco realize how much they need each other before the New Year’s ball drops? Jerry and Nicola met in Jamaica in 1988 when Jerry moved to the island. They now write under the penname Grant Beller, paying homage to both bloodlines. As Grant Beller, they write Romantic Suspense, often set in Jamaica, usually with a black woman & white man romantic relationship, but also other variations. Copyright text 2016 by Indies Unite.